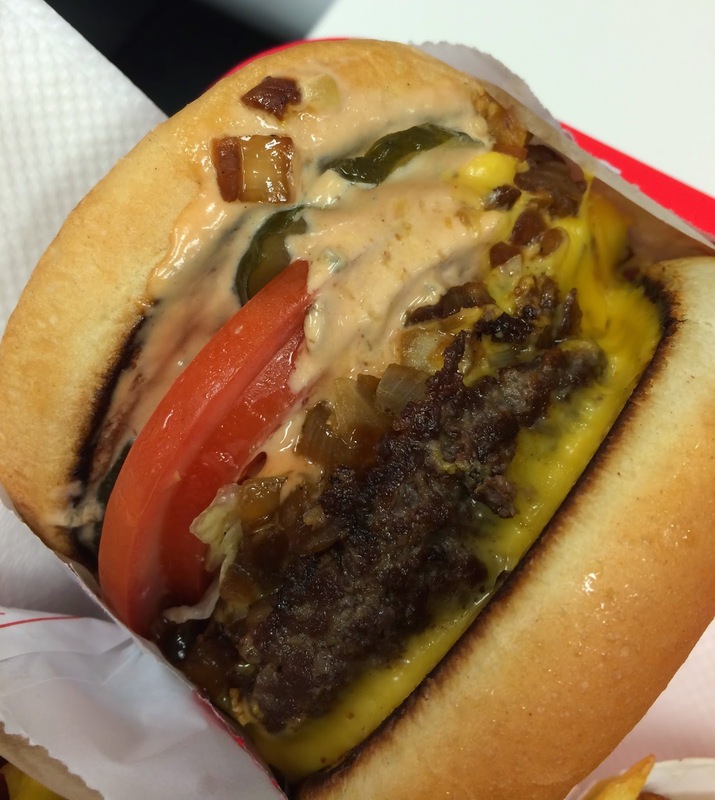 We're in Los Angeles to go to Disneyland and do some sightseeings, and of course, we went to IN-N-OUT like we did in Palo Alto. Other burgers from U.S. I've reviewed are the following. When we went to a branch in Anaheim, it's the busiest time and it's very crowded. Maybe we're there around 8:30 PM and it took us 5 minutes to place our order and another 10 minutes to receive the goods. But they make the foods to order, so it's not unusual to take them some time to compare with other fast food chains. As always, I got a cheeseburger without the sauce (similar to thousand island dressing). My husband got a Double-Double Animal Style and Fries with Cheese. Those two items my husband ordered aren't listed on the menu at the restaurant, but you can find the details on the website. 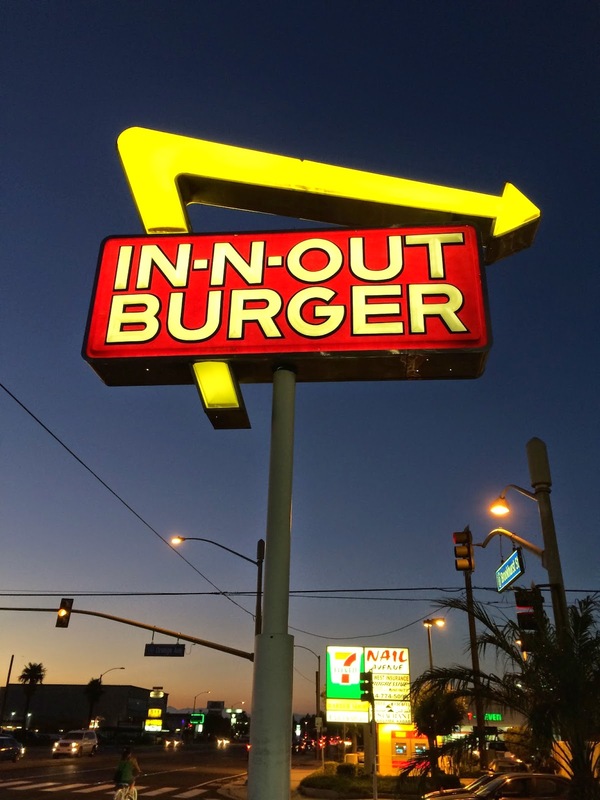 Animal Style uses diced grilled onion instead of fresh sliced onions, a mustard cooked beef patty (mustard on the beef patty before they grill it), and a pickle plus extra spread. 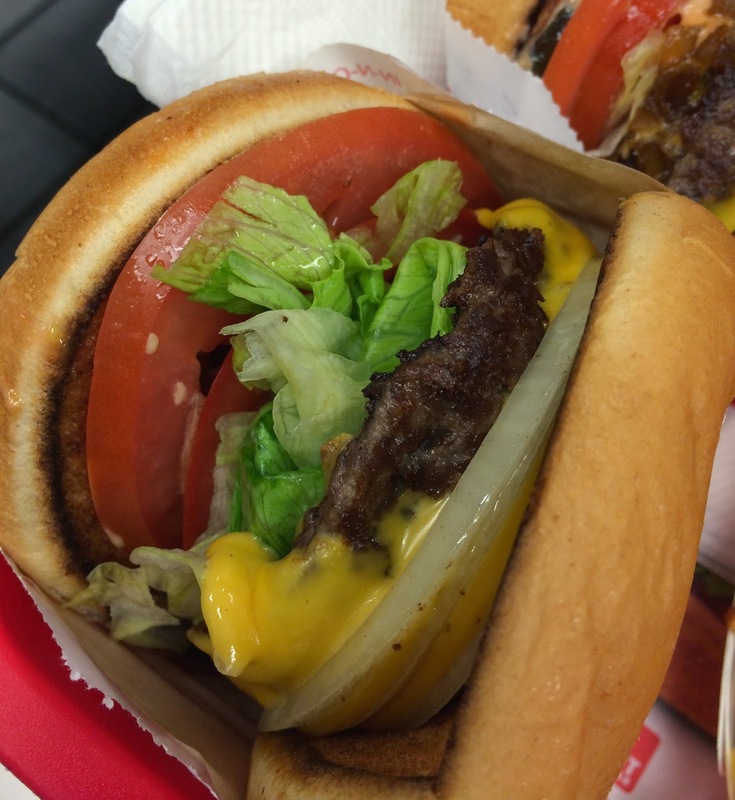 This also contained sliced tomatoes and lettuce like a regular double-double has. Since it has the sauce and mustard, I didn't eat it but I may get grilled onion next time instead of fresh onions. Fries with Cheese is basically a slice of cheese is put over the fries. It's the same American cheese they put in the burgers. Their fries are not greasy even though fried, and I think they're very lightly salted. It was my first time to try this Fries with Cheese, but I found myself enjoy regular fires more. They taste and smell "healthy" but I somehow like junky McDonald's fries the most; saltier and greasier. 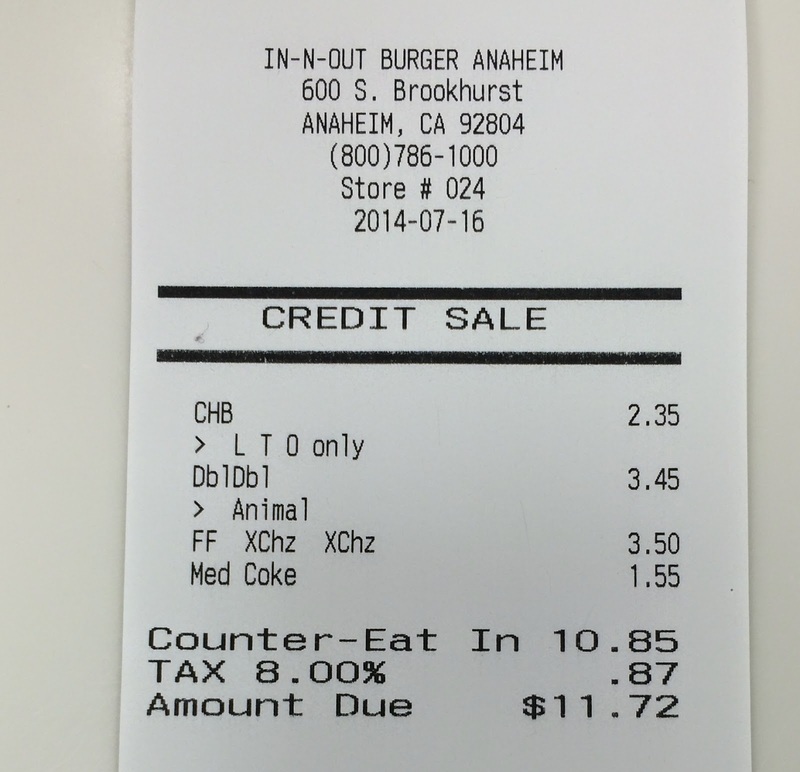 The receipt said "CHB LTO only," which means a cheeseburger with lettuce, tomato and onion only. Toasted buns, all the vegetables were fresh, beef patty was juicy and cheese was perfectly melted. 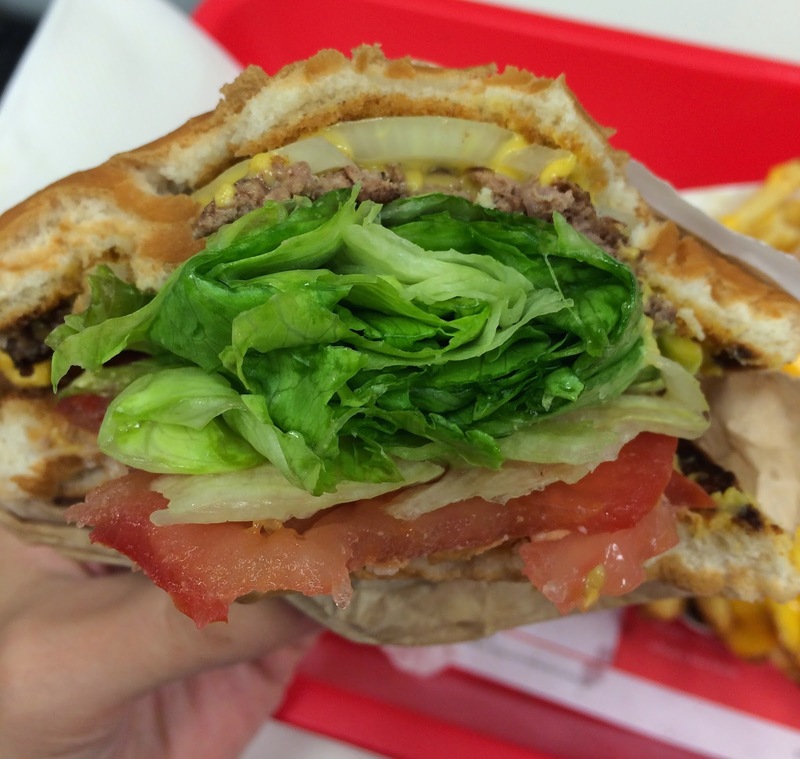 I love the lettuce as it's folded and has crunchiness more than a piece of lettuce placed in a burger. It's sure a bit hard to eat without making a mess though I really enjoy this lettuce. Even without sauce, it's not dry at all and it's so tasty. While we're eating, one of the employees came to us and asked hospitably how everything was, and he asked other customers, too with a smile. And when we're about to leave, he took the tray and disposed for us. I always feel like even though it's a fast food restaurant, the quality of the service is like a good restaurant. They even have "Protein Style" that is using lettuce instead of buns. It can be suitable for those who are on a low-carb diet.